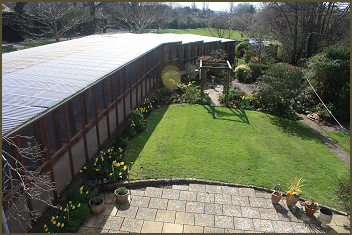 The original cattery was a small building with only indoor facilities which has been replaced and enlarged over the years whilst still retaining charm and a pleasant appearance. There are a total of 42 rooms including a large family room. 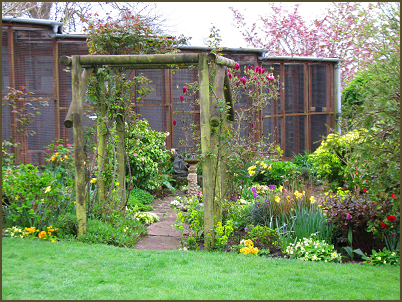 Having only recently taken over we do have plans to make some improvements to the facilities. Being able to provide the best care possible for your cat is our top priority and any changes will reflect this. 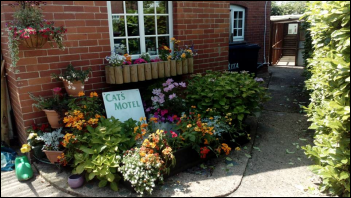 The buildings are situated around a large picturesque cottage garden edged on one side by a brook which enables all the cats to enjoy a pleasant aspect with views of the garden activities from both their individual window or whilst in their outside run area. 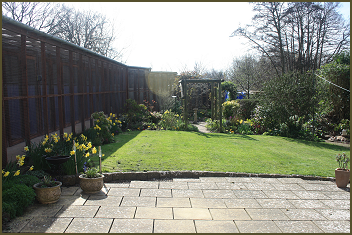 As the cattery is situated in view of our house it is continually under supervision. 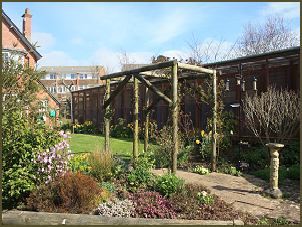 The buildings are insulated and lined and the accommodation comprises of modern full height rooms each with a window overlooking the picturesque garden and individual heating. The sleeping quarters are inside, purposely designed to ensure the cats are comfy and enjoy a feeling of security. There is easy access to the outside 6 feet long individual covered wire runs containing scratching posts or logs where our feline guests can bask in the sun. 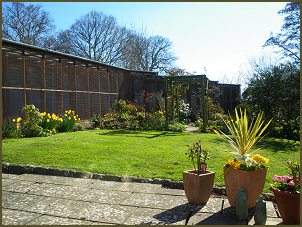 The cattery has safety passages operated by a security system and between each run is a protective sneeze barrier which allows the cats to see their neighbours but preventing direct contact. Although bedding is provided, if your cats have their own bed or blanket you may wish to bring this to help them settle in and feel more at home. 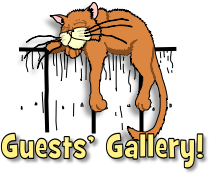 Facilities are provided for less active cats who are unable to manage jumping up to their sleeping quarters. Importantly, we do not board dogs which give the cats the opportunity to relax in a stress-free environment.